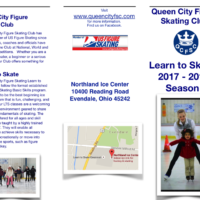 Queen City Figure Skating Club members who have full individual, family, or adult memberships can attend any and all club sessions, which are held at three different area ice facilities. Other members have limited ice privileges corresponding to their level of membership. 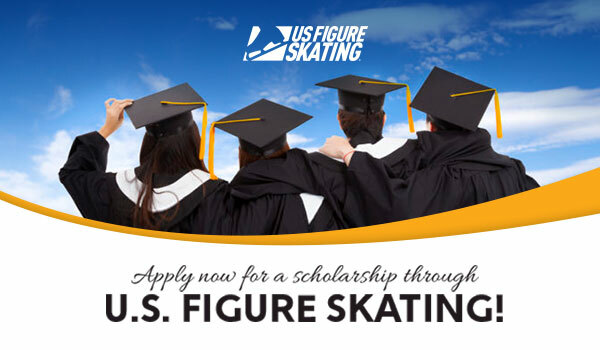 Test sessions are held approximately 5 times per year as a convenience to our skaters and are conducted under the auspices of the United States Figure Skating. The QCFSC Handbook/Directory is published once a year as a convenience for all club members. Our newsletter contains current club news and information and is sent to all club members. Monetary grants are given to all qualifying registered members who are Regional, Sectional, or National competitors. 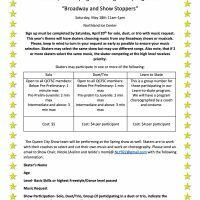 Scholarships are awarded annually to qualifying high school seniors. Gold medals are presented to qualifying club members who have passed their gold level tests in figures, freestyle, dance, or pairs. Certificates and USFS Patches are given to all registered members who pass corresponding tests. These parties are held during club sessions to celebrate various holidays during our skating year. All regional competitors are invited to skate in an annual exhibition preceding our Fall meeting.